Collaboration with Ana Araujo and her students at the AA (Architectural Association London) for an architectural submission in China. 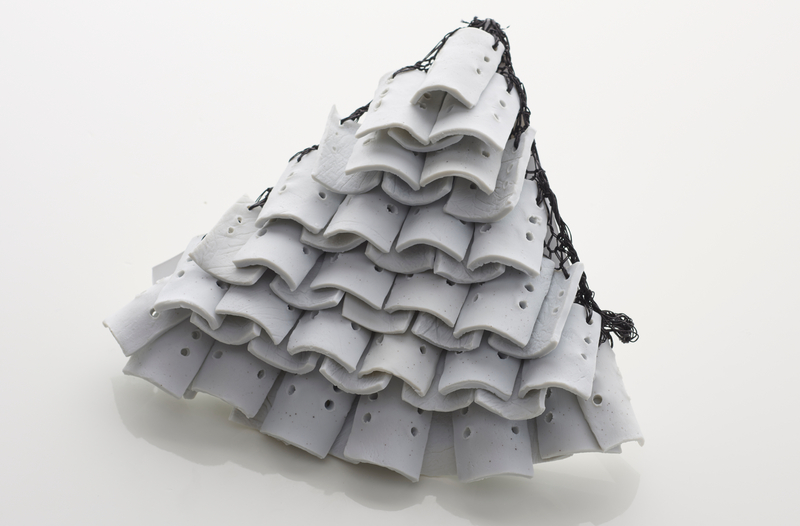 As textile designer my role was to experiment with the Ceramic tiles (made by Patricia Mato-Mora) and create various design explorations for possible 3D structures. These structures take shape and are supported entirely by the yarns holding them together. These were models used to describe the full size installation designs.